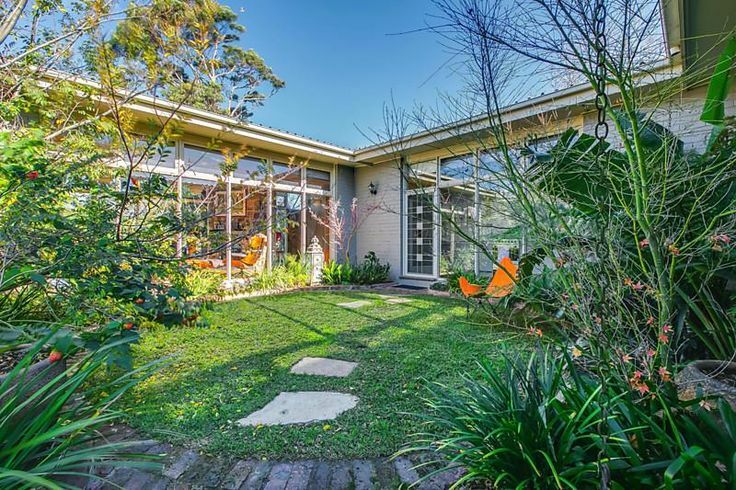 As a landscape architect I love the aspects of modernist architecture that allow a house to embrace and co-exist with the garden around it. One feature of a house that can instantly achieve this is a courtyard. The room without a ceiling. A courtyard is a landscaped private area within or next to the house that integrates with the living and private spaces of the building. 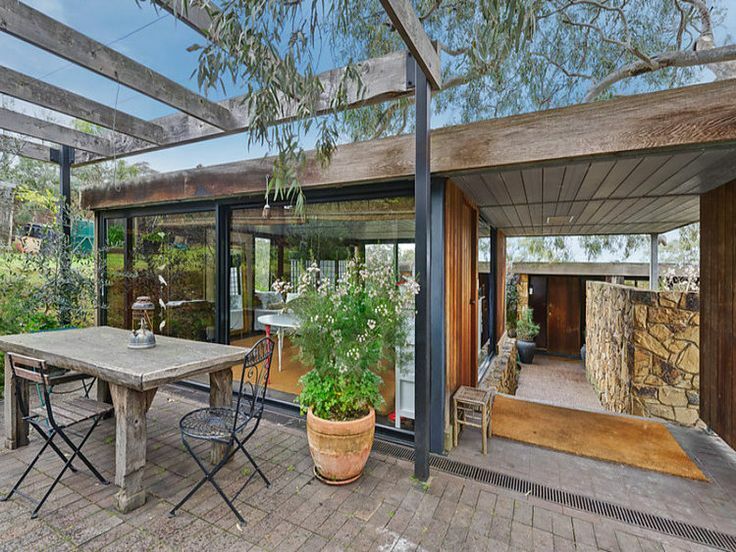 Australian landscape architect Ellis Stones described courtyards as ‘a room without a ceiling’ and in this way he defined the essential link between these spaces and the architecture of a house. 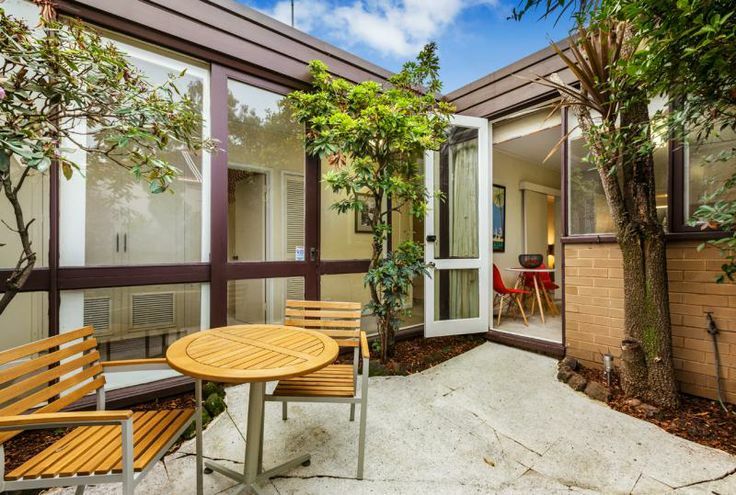 In Robin Boyd’s Walsh Street (Melbourne, Australia) the courtyard is the central feature of the architecture and while providing a break between the separated parent’s and children’s wings it is also the main private outdoor space. Other courtyards are smaller and their main function is aesthetic. 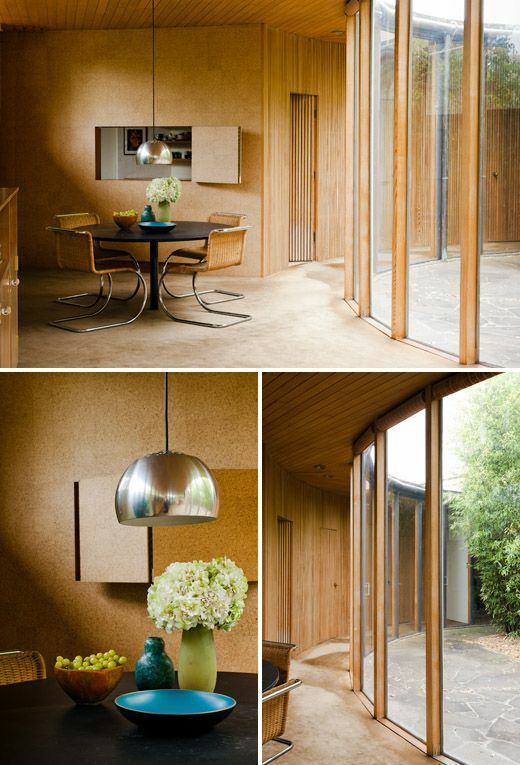 They allow light into central areas of a house and use vegetation to soften the built forms of the interior. 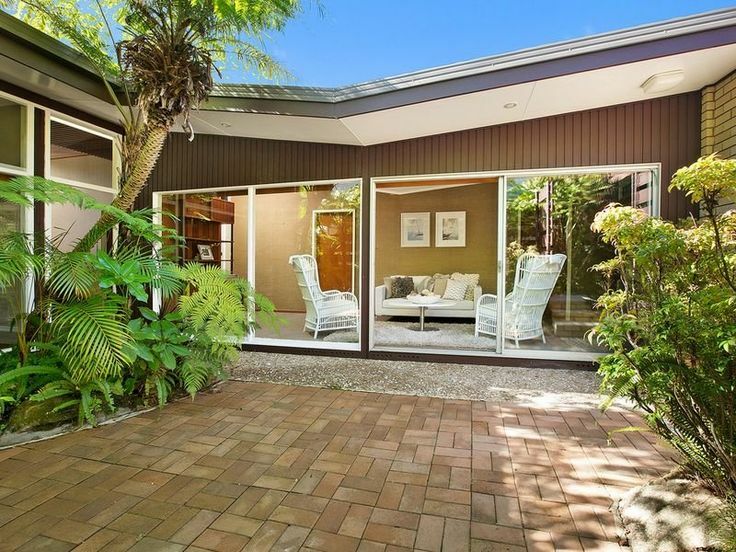 The floor to ceiling windows of mid-century modern architecture allow connection between indoor living rooms and outdoor entertaining areas. Courtyards are viewed across living rooms, allowing light into more central areas of a house, while plantings help to soften and provide a green backdrop to the solid built forms. Very small and private courtyards outside bathrooms again let in light, but also give a feeling of being outside while maintaining the privacy for bathing or showering. 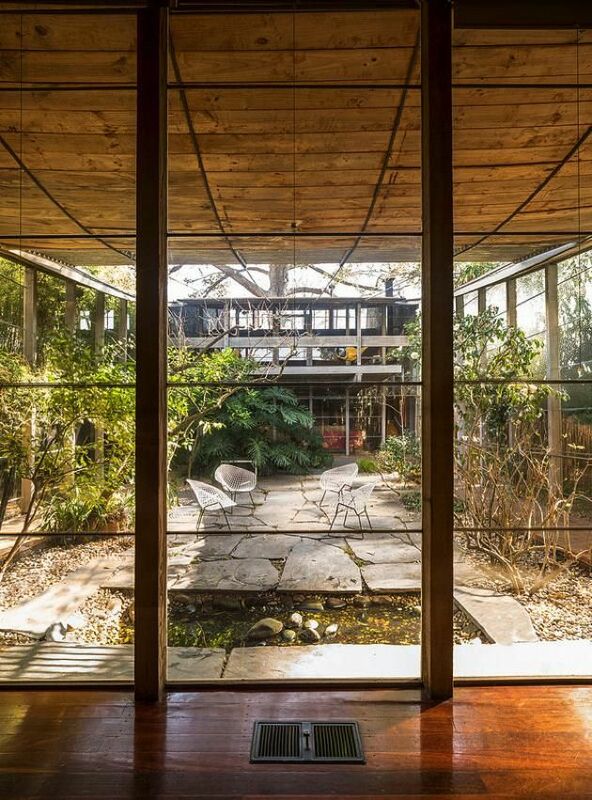 A number of my favorite modernist homes feature a courtyard immediately behind the entry hall. The privacy that is provided by the front door opens up to a light filled internal space. Windows to all sides allow views into and across the courtyard from all the surrounding living spaces. 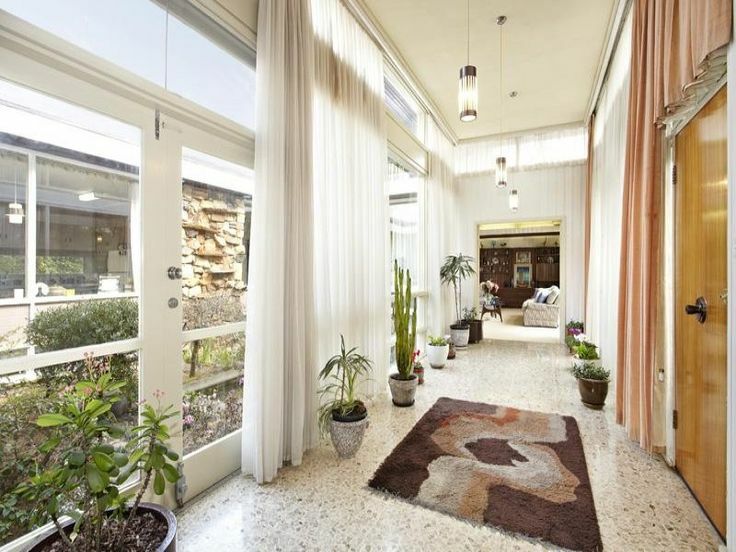 The materials used in mid-century modern courtyards typically reflect those of the building. The use of natural, unadorned materials projects authenticity by clearly expressing their structural purpose and form. These materials were the passion of Ellis Stones, who was an expert at laying natural rockwork and paving. 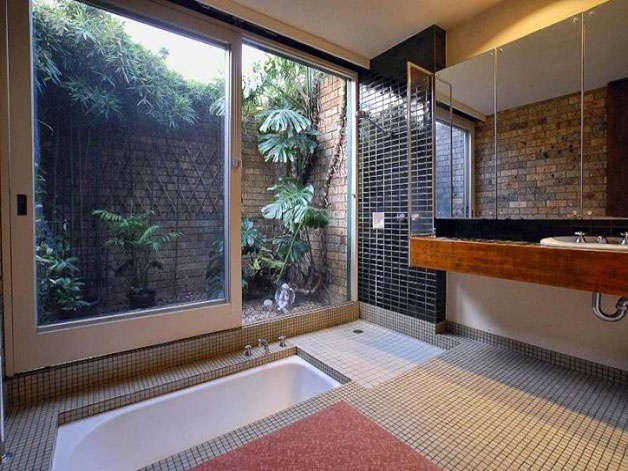 The idea of simple, undecorated design was also promoted by Robin Boyd, as he spoke out against ‘featurism’ in his popular publication The Australian Ugliness (1960). A common element of mid-century modern architecture is the design of a building that works in conjunction with its surrounding landscape. Courtyards were part of the architect’s overall design and not just added as a garden afterthought. By designing a house with consideration of courtyards, whether they are internal or external, it provides interest to the form of the building, increases opportunities for natural light into more rooms and maintains a direct connection between the exterior and interior of a home. 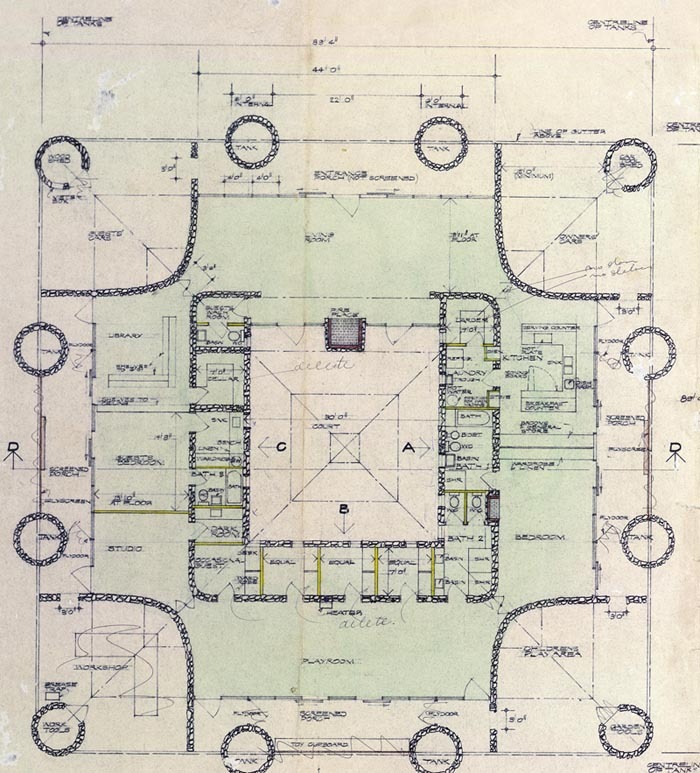 The plan for Robin Boyd’s Baker House (1964) shows how the courtyard was the starting point for the architect’s design, being the central feature and with symmetrical forms around it. Boyd used similar features in his design of the McClune House (1969). 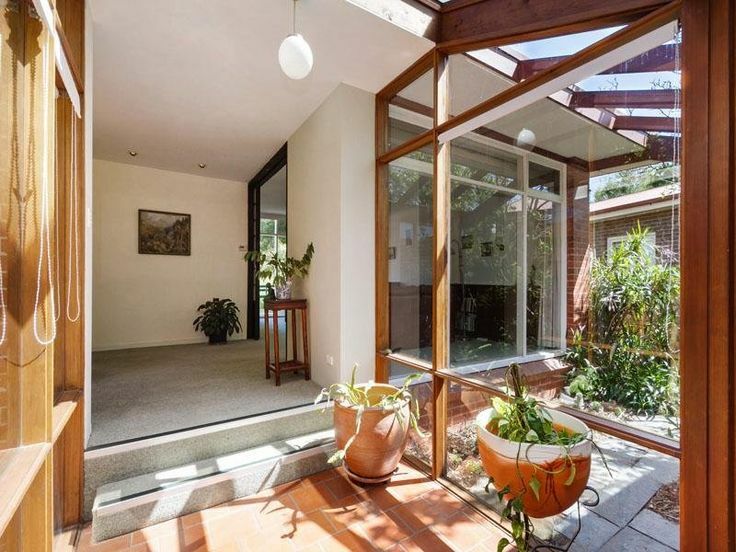 Possibly my favorite Australian mid-century modern house is by Roy Grounds, in Toorak. 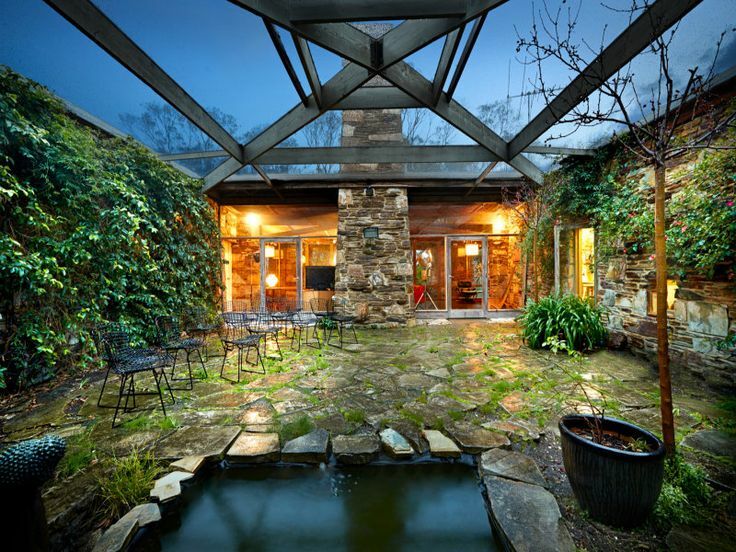 The geometry of the home is perfect, with a square around a central circle courtyard. Windows to the perimeter of the courtyard allow light to stream into all areas of the home while retaining privacy. Planting of tall, narrow bamboo within the space softens the built forms without taking up space or blocking light. Again, simple and natural materials are used in the pavement. In today’s architecture the courtyard appears to have been replaced by the ‘al-fresco’, an undercover outdoor entertaining area. 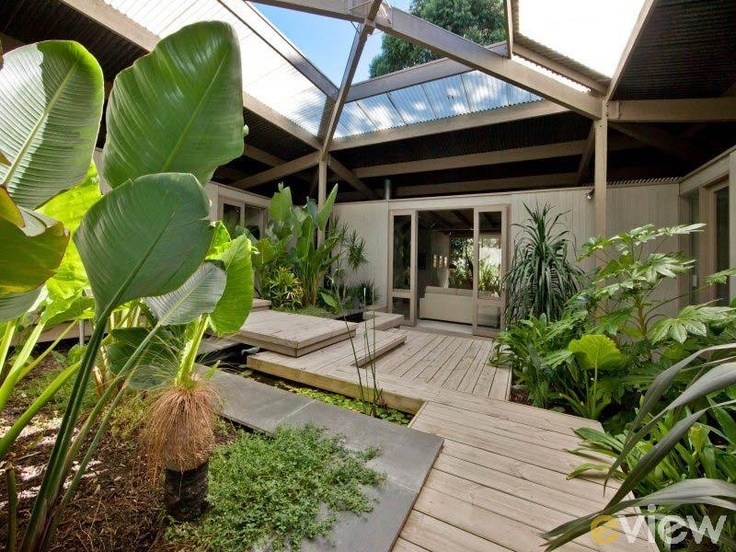 Mid-century modern courtyard examples show how these outdoor spaces add aesthetic and functional value to a home.